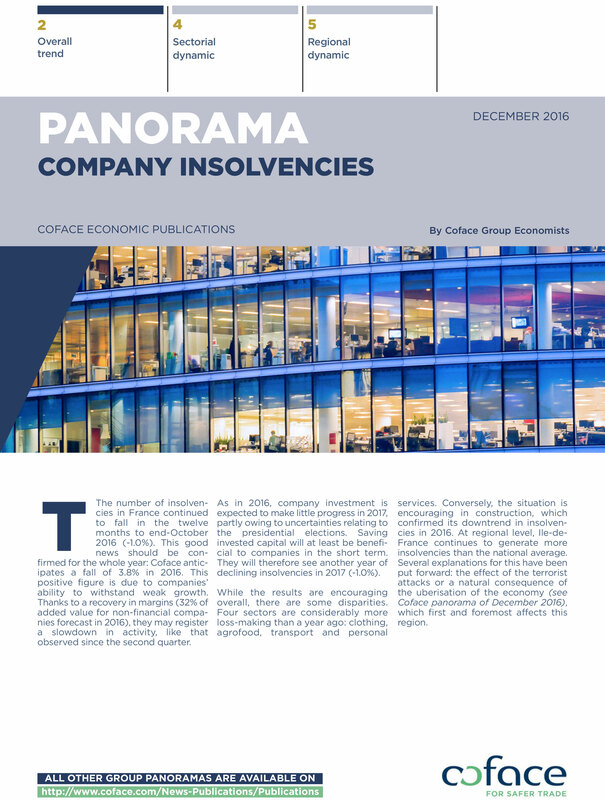 Coface anticipates a 3.8% fall in insolvencies in France for 2016. Little progress should be made in 2017 regarding company investment, but that should help the ongoing decline of insolvencies for 2017 (-1.0%). However, four sectors, clothing, agrofood, transport and personal services, are a lot more loss-making that in 2015, contrary to the construction sector, which improved considerably this year.